I was born at Thirroul, NSW, and was involved with 2WL on a youth program back in the 60’s. I worked in the airline industry as Senior Passenger Administrator for 20 years and in that time I met many of the artists that I now use on my program. I toured with Ted Quig around NSW with many local artists, and helped Lee Gordon with his import artists when they visited the Wollongong area. 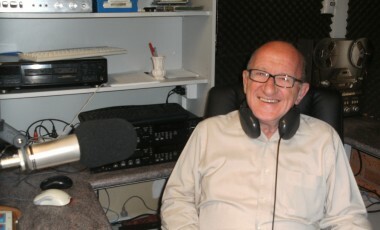 I retired in December 2009 and came up to Forster to live with my beautiful wife Gabrielle, and have now involved myself with Great Lakes FM as a volunteer announcer. I am enjoying the experience very much. My favourite music is the 60’s and 70’s along with classical and country music.